I’m at yet another crossroads with my writing, which prompts me to wonder: Is it time to re-consider the alternative to traditionally published books? 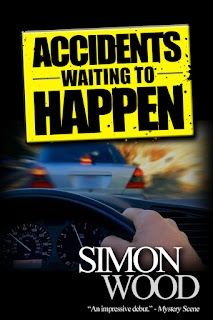 I have not yet self-published, but I’ve had large and small publishers, successes and set-backs, seen my books picked up, passed along, published in many formats, and passed over. 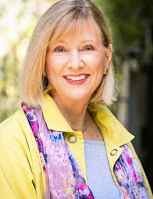 I have two series out right now, the Dani O’Rourke contemporary mysteries set in San Francisco’s art world; and a French village mystery series set in Burgundy. But they’re short as series go. In fairness, I only started writing full time in late 2006 and I’m not a fast writer: I’ve only written five books. The history of the Dani series taught me a lot, but maybe not enough. 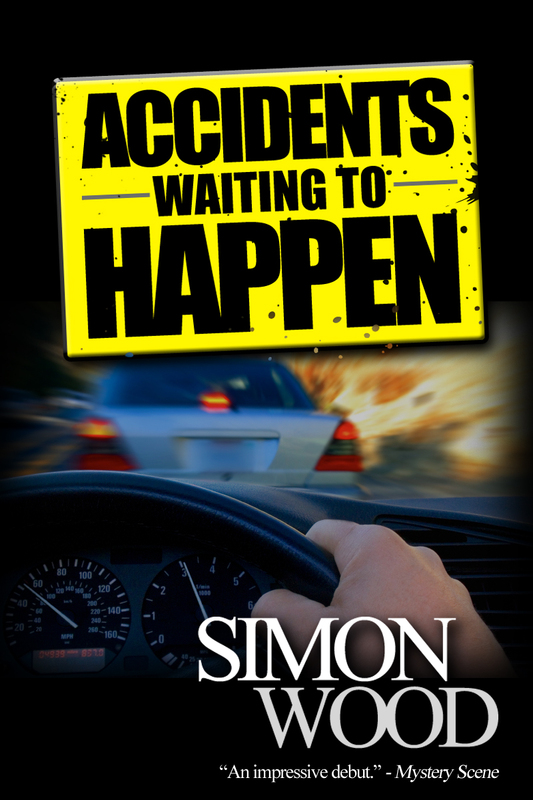 The first book went to market through my agent just as the economy tanked big in 2008. The agent at the major house who loved it said, sorry, we have been told we can’t buy anything for at least three months. So, it got sold to a well-known niche house, but for hard cover, which sounded good. Also to a large-print publisher. Also to a paperback mystery book publisher. Also to Audible. Good, huh? Well, not for me or my agent because the contract gave the first publisher all the rights to license it out without our approval or royalties. In each case, a one-time payment to the author/agent. Then, a year later, as the second book in my two-book contract as about to go to that publisher, they announced rather breezily that, oh by the way, they were selling all the rights to their books in print to another publisher. That publisher printed a new edition of my first book but had neither the contract rights nor the interest in book number two. Agent went scrambling to find me a publisher who wouldn’t mind that book number one wouldn’t come to them with the new book. I could go on. Eventually the three Dani’s got to print and e-book and all are now gathered in a small publisher’s list, but I came to realize that getting them printed wasn’t the key. Getting them marketed and distributed so a bookstore would a) carry them; b) be willing to order them; and c) be able to order them was the really big deal. 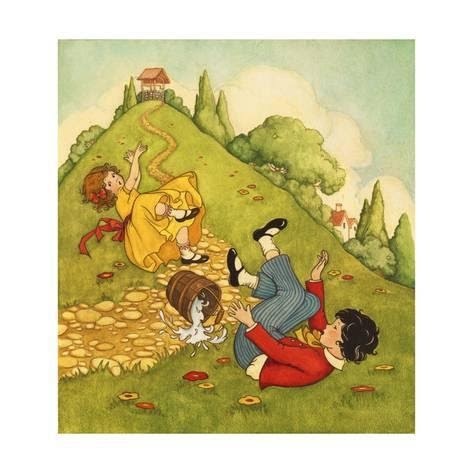 The other thing I learned is that the dream of living off royalties is pretty thin until and unless you sell a whole lot of books in a conventional publishing deal. A whole lot. 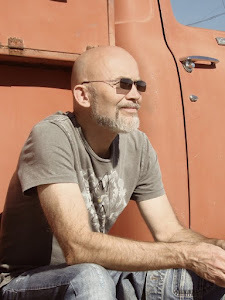 Knowing what I know now and seeing how platforms like Amazon have cracked open the distribution channels and social media has given writers marketing options, I pause. Am I too set in my ways, too lazy, or not well enough off financially to take on the extraordinary work of today’s successful self-published author? 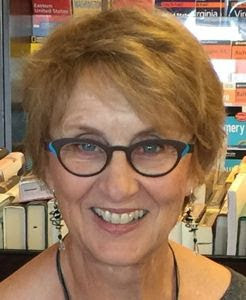 I look at people like the writing couple Bette and JJ Lamb, and I’m awed at their commitment to it and at the success they have had going this route. It isn’t easy, as Bette has told me more than once. But they have built an audience for their novels, as have other writers I know, like Simon Wood and Cindy Sample. The glamor of being able to say you’re published by so-and-so may not be there, but 100 percent of the royalties are! "Man, I got so many books, y'all don't even know." I write a lot, but I read, too and I'd like to get credit for all the reading I do despite having so much writing to do, because that'll make me seem more committed to writing by folks who have the time to sit around and judge people for not reading while writing because that seems cool. Below are my most current crime fiction reads, except I couldn't really finish them on account I have another blog thing I do and reading can be hard sometimes. Anyhow, here are my top mystery/crime/thriller picks from off my TBR pile. 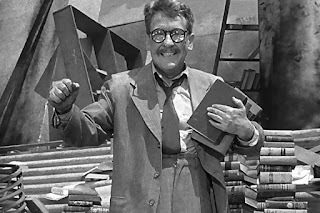 All books are new releases unless otherwise noted. 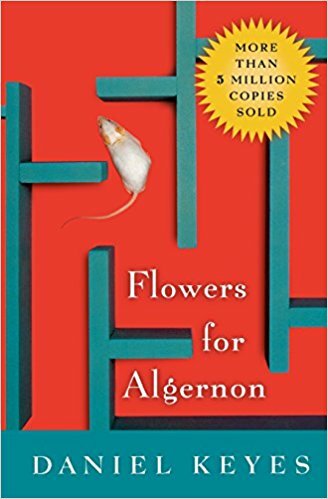 Flowers For Algernon , by Daniel Keyes: Charlie Gordon is an unwitting pawn in a mad scientist's gambit to create an army of super-intelligent mice, most likely to take over the Earth or something. What they didn't realize he had a plan of his own, and he elects to receive the surgery that would make him a super-intelligent mouse. Things go wrong, his co-workers conspire against him, and there's something about a nurse and some flowers and it all sets up to have some really cool climax like the end of Fahrenheit 451, I think. 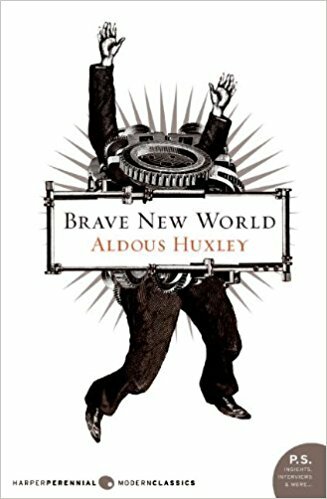 I really enjoy dystopian science fiction. I wish I'd have finished it. 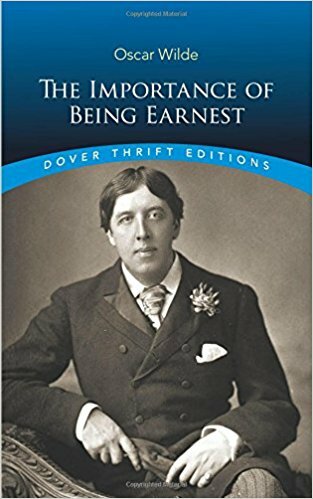 The Importance of Being Earnest , by Oscar Wilde: I don't normally read plays but this one started out good. It's a Victorian-era spy thriller involving a case of assumed identity, almost like Remington Steele (great show—they should bring that one back.) Jack Worthing is an agent who is keeping a beautiful and wealthy young heiress in hiding out in the country. While she must remain a secret, he still has to go on missions in London, thus the codename Earnest (which is the importance part, I'm guessing.) Earnest is, like, the 00 in the James Bond books because everyone wants to be frickin' Earnest. 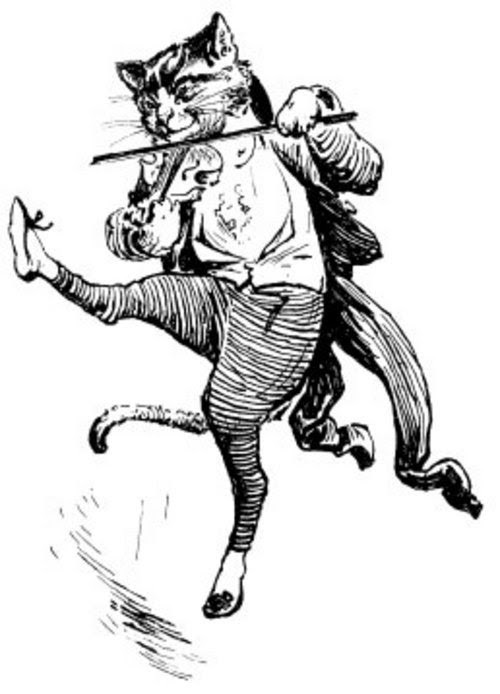 His best homie steals his name and goes out to the country to, I guess, capture the heiress, leaving Jack to contend with both his dawg and Victorian society, including a double-agent named Gwendolyn. I wanted to see how this one would turn out, but I started reading it in an accent in my head and it all got murky. First act was good, tho'. 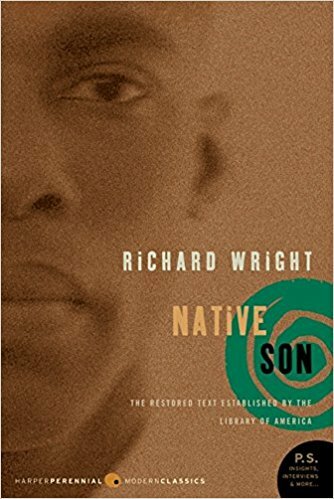 Native Son , by Richard Wright : I figured I'd like this one, but I couldn't get through but half. There's a poor kid on the Sout' side of Chicago who, after planning and calling off a robbery, is taken in by some rich white folks whose daughter wants to overthrow the government or give everyone free college or something. Everything is going well but that communist jazz starts up and, sooner than later, Bigger up and killed two folks and is the subject of a crazy manhunt. When they catch him alive, I closed the book. 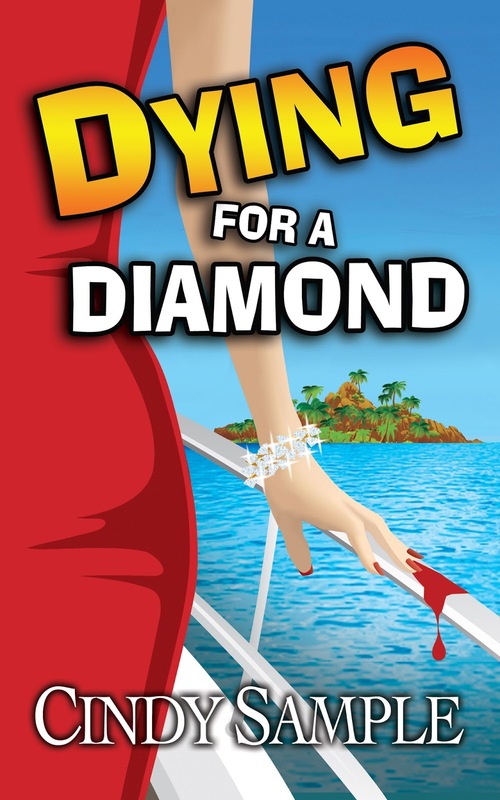 I prefer realism in my crime fiction. Ain't no black dude named Bigger being taken in alive in Chicago, no time. I heard James Baldwin and Richard Wright got into a scrap over the plot. You can't take us no place. Next time, I'll review the crime fiction classic "The Old Man and The Sea," which is about the rogue fishing trade and smuggling or something. Anyhow, thanks for reading. Catch y'all on the flip. Violent passions, perversion, and murder in one spine-tingling collection. 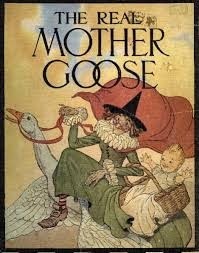 Mother Goose offers a tour de force of psychological suspense, domestic tragedy, and good old-fashion mystery in her latest collection of nursery rhymes. Alternately tugging at the heartstrings and terrifying readers with dark motives and twisty endings, Ms. Goose shows again why her rhymes regularly top the bestseller scrolls. 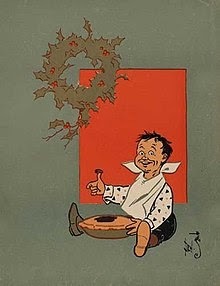 The doleful story of a forsaken orphan boy, left by his cruel overlords to eat his meager repast of Christmas pie alone, without even a spoon or fork to extract the dried-out fruit filling. 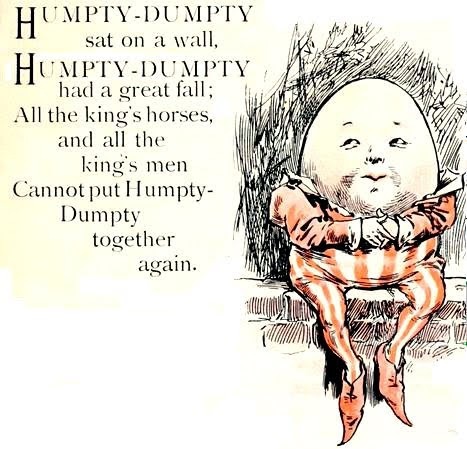 The hard-boiled tale of Humpty Dumpty, innocent victim of perfidious betrayal, who finds himself on the wrong end of a shove from atop a high wall. This is a complex conspiracy, originating in the highest echelons of the Palace, where Humpty’s powerful enemies scramble to cover their tracks. Even the king’s horses are part of the plot. 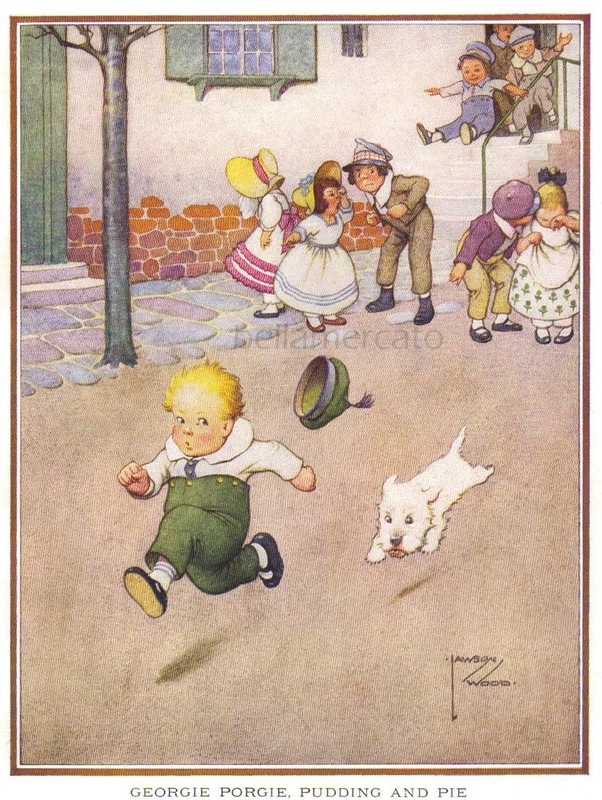 A local deviant, Georgie Porgie, terrorizes the females of the town until a civic-minded mob sets out to rout this menace from the land. Time’s up, Georgie. Two thirsting lovers climb a hill, only to find danger and menace awaiting at the summit. 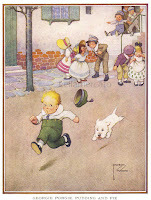 But who sent the two youngsters tumbling to their doom below? Is it murder-suicide or a love triangle gone wrong? 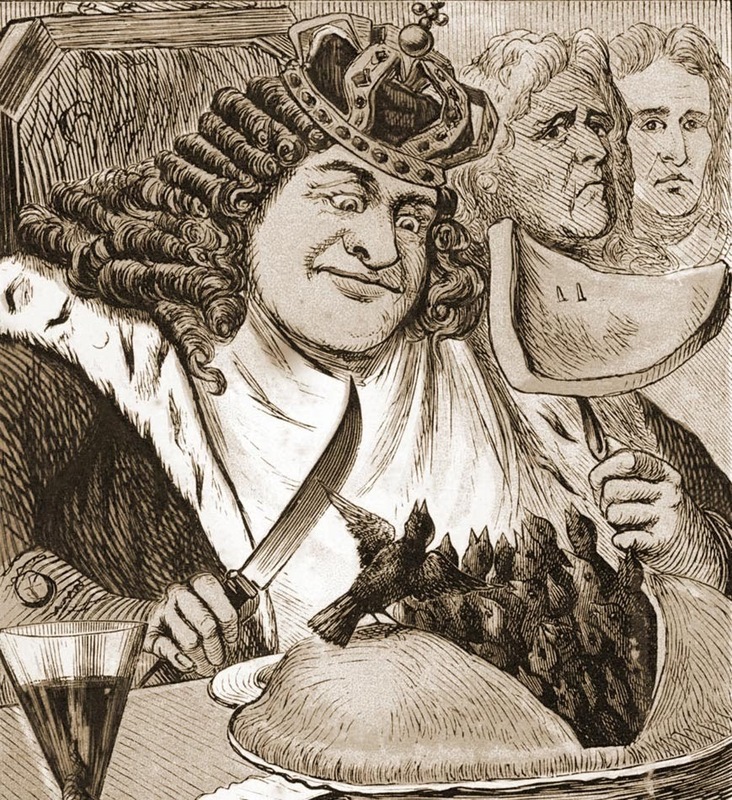 Dastardly plots abound within the royal walls, where the king is served a pie of live, squirming blackbirds. Who dared lay such a dainty dish before the king? More palace intrigue in a high-concept take on the heist genre. The queen’s baked goods go missing. This baffling case looks uncrackable at first. But when a kingdom-wide dragnet nabs the culprit, it turns out to be an inside job. An urgent call to action for social change. The shocking saga of an old crone who lives in a giant shoe on the tenth hole of a miniature golf course, next to the windmill, where she starves and maltreats her many children. 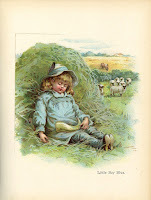 Mother Goose shines a light on the tragic plight of those too small and weak to defend themselves. The feel-bad story of the year. Something for science-fiction fans. The futuristic epic of a fiddling feline, a bovine space traveler, and a pair of amorous anthropomorphic tableware give this collection a fantastic twist. Finally, there’s a cautionary tale in which a bucolic setting turns into a hellish, post-apocalyptic landscape when a lazy shepherd boy neglects his duties, and the livestock rampage through the cornfields, destroying the crops. I’m going to stray off this question a bit and instead share some thoughts on genre. A novel’s prime focus determines it’s genre, which is a way to classify and to give readers the broad strokes of what to expect. The danger is a reader might dismiss a really good book based on preconceived ideas of its genre. While I’ve been guilty of that at times, I do believe any writing should be judged individually and on its own merits. Shouldn’t it be about the writing itself and the strength of the author’s voice and not the label or the shelf the book’s on? 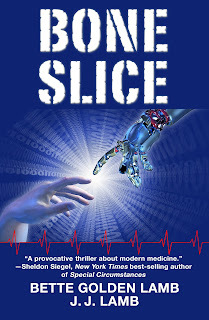 Some might say the use of violence and twist-endings in mysteries and crime fiction are like crutches to good writing. 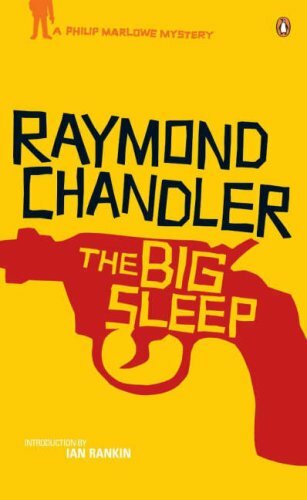 While genre bias exists, one form of writing outshining another, consider a hardboiled crime-fiction classic like The Big Sleep, written by Raymond Chandler who brought us Philip Marlowe, one of the most memorable characters in any novel. There are classic mysteries like Agatha Christie’s The Murder of Roger Ackroyd, and thrillers like Frederick Forsyth’s The Day of the Jackal, and Stephen King’s Misery. 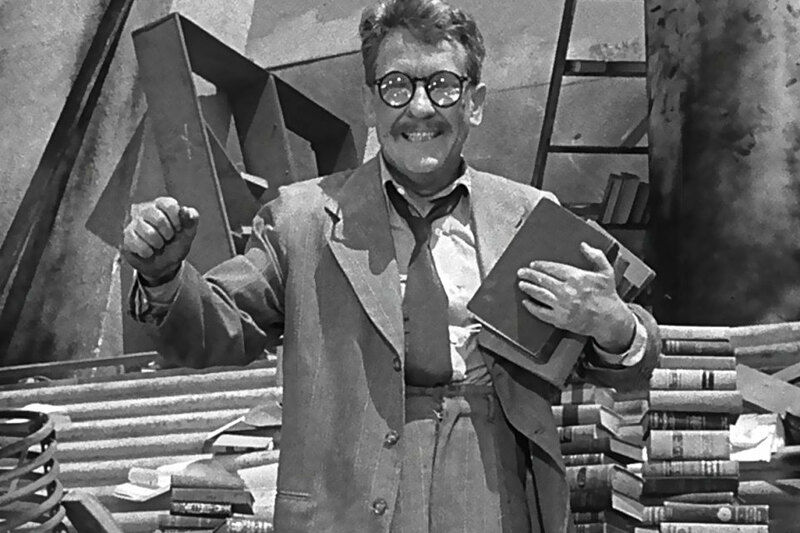 How about sci-fi classics like Ray Bradbury’s Fahrenheit 451, or Mary Shelley’s Frankenstein? Westerns like Charles Portis’s True Grit, and military fiction like Joseph Heller’s Catch 22. Any of these and so many more make strong arguments about the quality of the writing found in their respective genres. Take a modern crime novel like Don Winslow’s The Force. If that’s not a masterpiece of urban realism, I don’t know what is. And there are many other modern-day masters writing across the genres. Speculative fiction by Margaret Atwood, fantasy by Salman Rushdie, literary fiction by John Irving. Take a look at the quality of the writing in Cormac McCathy’s crime fiction novel No Country for Old Men. His words are rich and lyrical, yet the story is dark and violent. 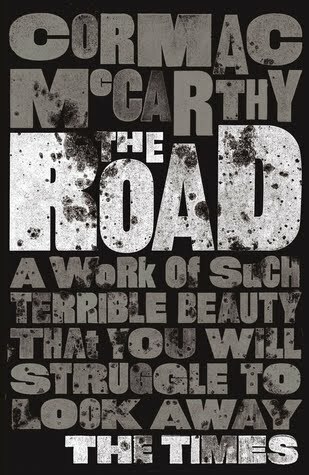 Then there’s his post-apocalyptic The Road, in which his prose becomes spare across a colorless landscape. Different styles, different genres, but both from the same author, and like all his writing, simply genius. Sometimes the lines between genres get pretty thin, and they may even cross. Daphne Du Maurier’s Rebecca could wear several labels, and at the same time it stands the test of time. And that’s also saying something about the quality of the writing. The aforementioned Catch 22 edges into historical fiction, war drama, satire and dark humor. While William Golding’s Lord of the Flies could be considered equal parts allegory, YA and literary fiction. 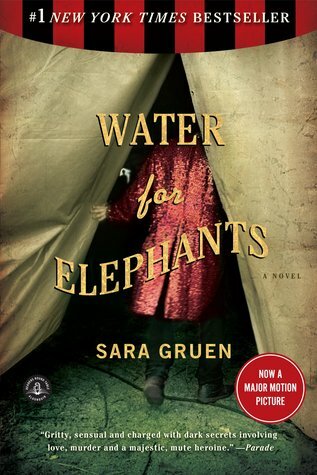 Sara Gruen’s Water for Elephants is both historical fiction and romantic drama, and JK Rowlings’ Harry Potter books could also fit onto several genre shelves. So high brow versus blue collar. A quick read or something deep. Just give me a writer with a great voice and a well-told story, and I won’t worry about the novel’s genre label. 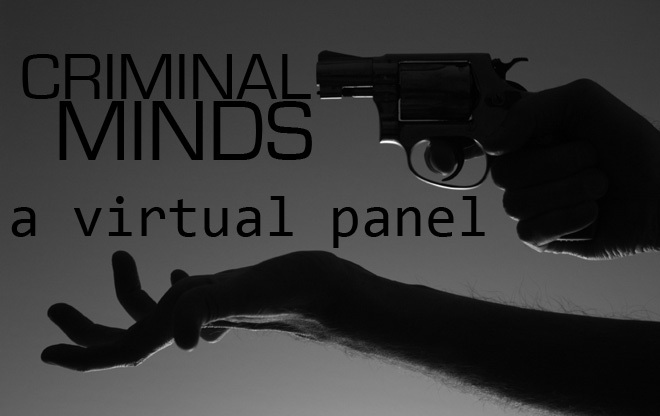 Despite literary fiction genre bias, elements of crime fiction make it into literary fiction all the time. 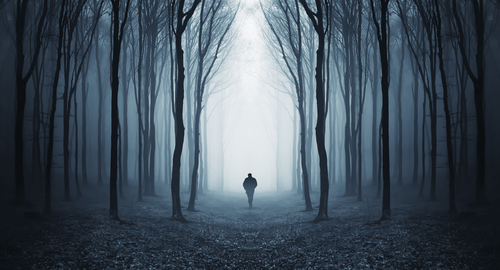 Write a mystery/crime-style synopsis of a novel that was crime fiction in all but name. 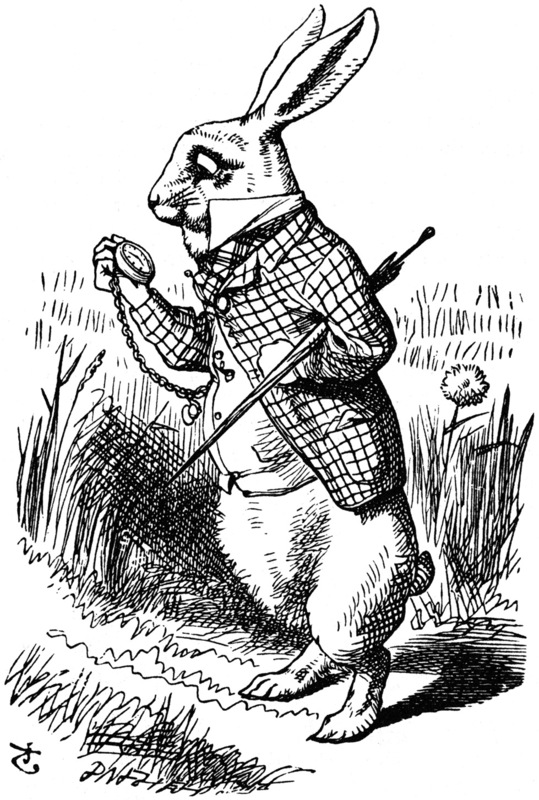 Psychopathic rabbit lures young girl down dark threatening hole. 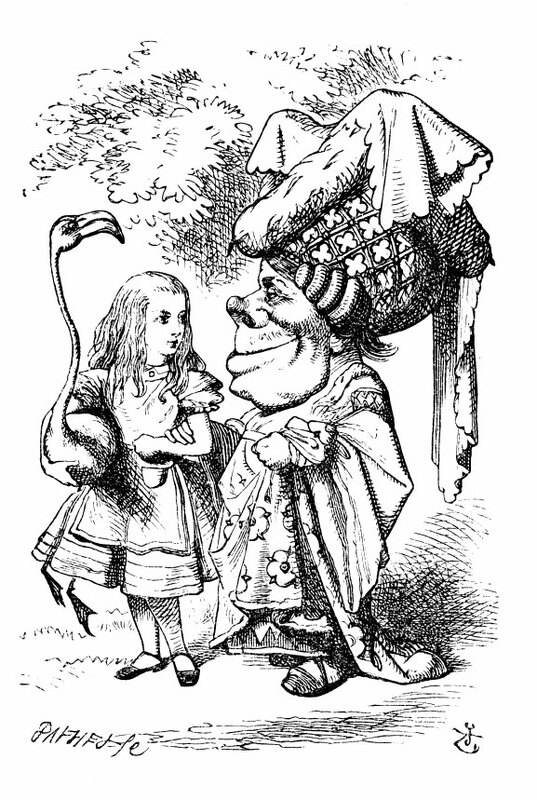 Alice In Wonderland is a psychological thriller on steroids. It conjures up the worst the netherworld has to offer, poisoned food, magic mushrooms, nefarious creatures too human-like to be real, a psychotic tea party and a travesty of a courtroom trial whose only purpose is to thwart justice. 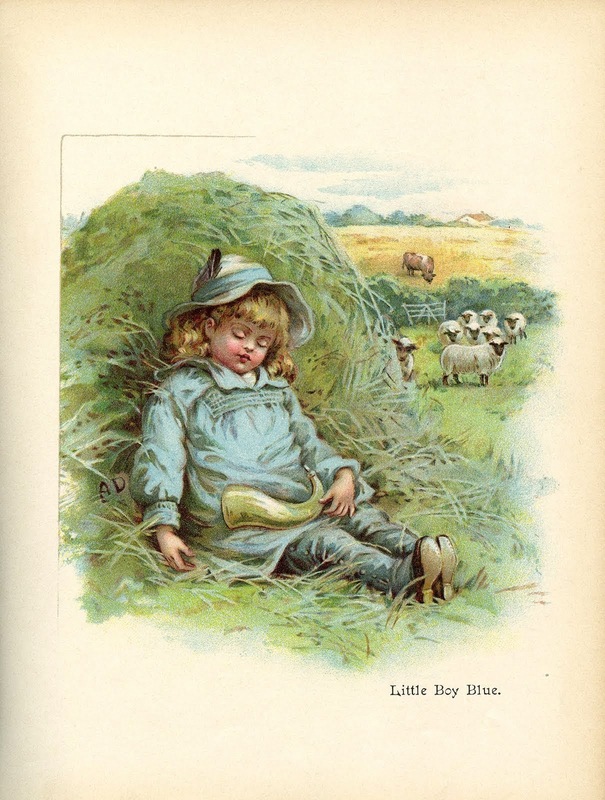 At its heart is Alice, a young innocent whose only crime was boredom. Yet she is forced to go through a host of threatening challenges that she may not survive. 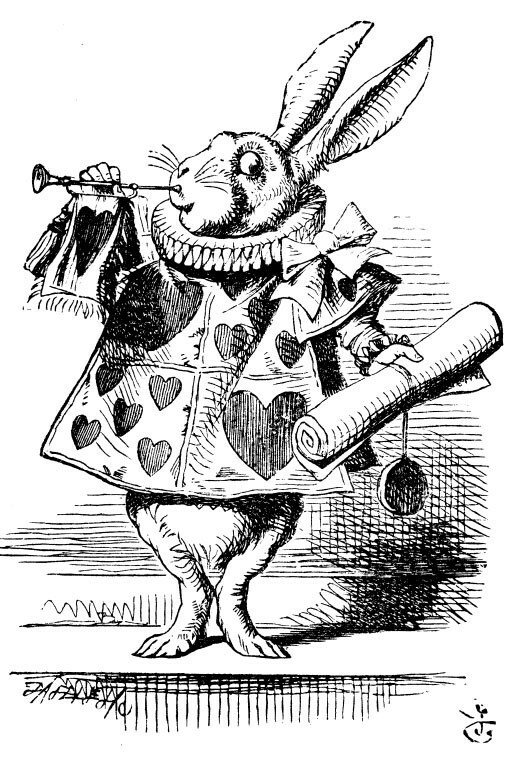 Lured into the deep hole by the mysterious rabbit, Alice finds herself in a dark ominous tunnel of closed doors. Desperate to find the right door that will return her to safety, she is forced to drink and eat unknown substances that cause her body to change shape in frightening ways. She struggles to keep her head above water as flood waters sweep her away along with a gang of two and four-legged creatures who flee at the sight of her. 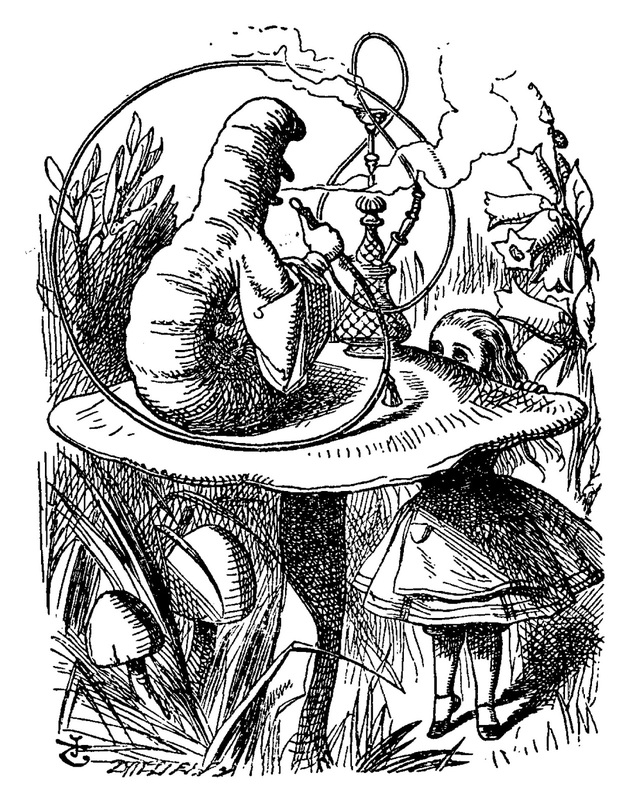 A giant blue caterpillar smokes a hookah, a baby turns into a pig, a cat disappears leaving his grin behind, one fantastical encounter after another leads her ever deeper into the black threatening world of the unknown and away from the light of safety. She struggles to maintain control over her body, either growing too tall or too small. 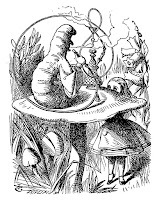 It is only when the blue caterpillar introduces her to a magic mushroom that she gains some control. She finds herself an unwilling guest at a psychotic tea party, whose guests redefine the definition of ‘normal’. They interrogate her relentlessly and don’t let up until she is forced to flee. 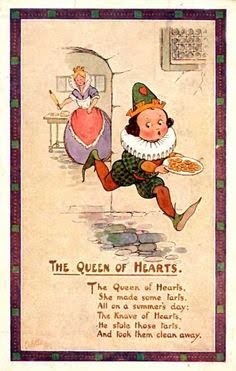 But she has only fled “from the frying pan into the fire” as the saying goes. A curious croquet game with anorexic players erupts into chaos amidst threats of “Off with his head”. With an execution imminent, Alice manages to stay it until reason can take over. 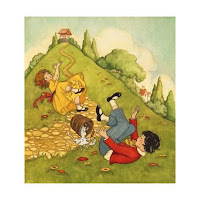 But then a theft occurs, the thief is caught and speedily goes to trial. 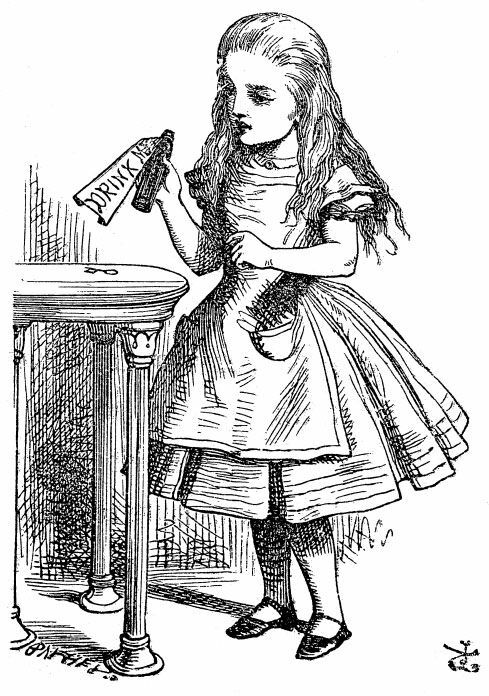 Alice is forced to give evidence. But she recognizes the trial for what it is, a mockery and makes her unwanted views known. Now she is the one to face “Off with her head”. Does she survive? Is she able to leave this chaotic world alive? 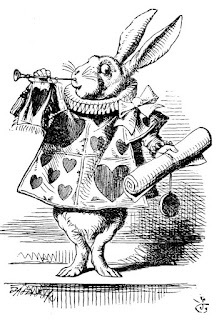 Click on the link to buy Alice in Wonderland to find out what happens to Alice. I had great fun doing this for I will admit that Alice in Wonderland is far from a favourite book of mine. In fact, as a child it terrified me. Still does. After first being exposed to the story when I was small, I’ve never been able to go near it since. I refuse to even watch the many films that have been made. 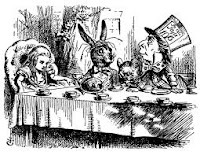 So I suppose this rendition of Alice in Wonderland into a dark psychological thriller captures my take of the book perfectly. But I know many readers love it. So I hope they come away chuckling. It has long been my theme song that there is a mystery at the heart of every good book. If not a whodunit, at least a mystery “of the human heart.” Whatever I wrote, I tried to use the best prose at my command, and I think that’s what every writer does. The questioner was satisfied, and told me later that he admired the answer. So I’m not even sure how I would go about writing a synopsis of a famous novel “as if” it were a mystery. They are all mysteries. What would Jane Austen’s Pride and Prejudice be without the mystery of what happened to Mr. Darcy’s younger sister? Or without the question of why he was so aloof? What would Styron’s Sophie’s Choice be without the mystery of the choice Sophie had to make that destroyed her peace of mind? You won’t find Tim O’Brien’s In the Lake of the Woods in the mystery section of a bookstore, but the entire book is one, long mystery. Did William Faulkner write anything that didn’t involve a gasp-inducing moment when a mystery was revealed? Try reading Faulkner’s The Sanctuary. It’s short and is a classic of suspense. Crime and Punishment: Mainstream, yes. But it examines the criminal mind as surely as any mystery novelist does. Drieser’s An American Tragedy. A mainstream mystery. I can turn it around, too. If you haven’t read Tim Hallinan’s The Hot Countries, you should know that it is as mainstream as E. M. Forester. Is John LeCarre a mainstream novelist? You bet. 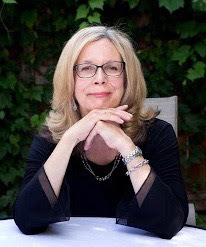 How about Laura Lippman? Read Sunburned, and think of it not as a “mystery” but as a novel about people who are hiding something and whose lives are gripped by their fears. A good novel drags you into the scene and the setting, sets characters at odds with each other and takes you into their interior lives—their hopes, motivations, fears, and fury—and their convoluted ways of dealing with each of these emotions. 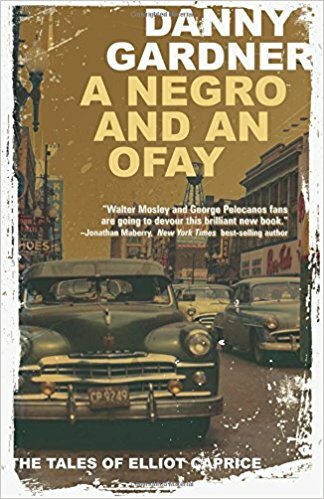 Would anyone read Flannery O’Conner, that master of writing about conflicted people, and not be aware of the potential for terror and violence on every page? What about Cormack McCarthy? 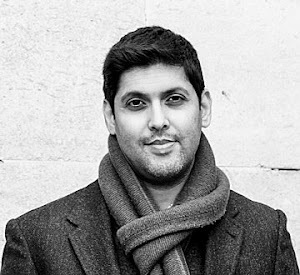 His books encompass, violence, fury, fear, and tenderness. What’s going to happen next? That’s the question we writers hope that our readers will ask on every page. Some of us structure our books more clearly to set up a mysterious event than others do. But it’s always about the way a character’s wants and needs conflict with that of others. That’s all anyone worth reading writes about. Some people do it with more thrill and action; others in a more contemplative way, but it’s all about the mystery. Derringer Nominations are out. 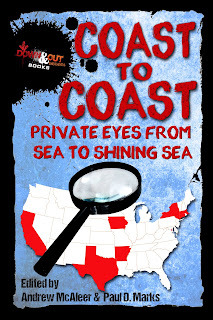 And I’m blown away by all the nominations and recognition for several of the stories in Coast to Coast: Private Eyes from Sea to Shining Sea, edited by Andrew McAleer and me. I want to thank the judges and the Short Mystery Fiction Society! I also want to congratulate all the finalists. 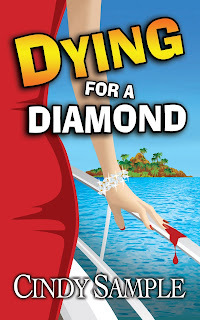 I’m thrilled that my story Windward has been nominated for a Derringer in the Best Novelette category. I also especially want to congratulate the other nominees from Coast to Coast: Private Eyes: Matt Coyle for The #2 Pencil (Best Long Story category); Robert Randisi for Kill My Wife, Please (Best Novelette), Andrew McAleer for King’s Quarter (Best Novelette). --- And also from this anthology: Art Taylor’s A Necessary Ingredient is nominated for an Agatha. 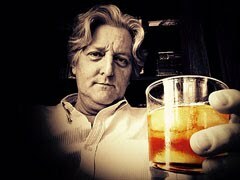 John Floyd’s Gun Work and my story Windward have both been chosen by Louise Penny and Otto Penzler for inclusion in The Best American Mysteries of 2018. – And I want to thank all of the authors who contributed stories to Coast to Coast. So, like I said, mind blowing. And I’m thrilled to be part of it on various levels. And it’s very gratifying to see all the hard work of both the writers and editors paying off. Take my breath away! Click here to see all Derringers Finalists. A friend once said to me you’re never a prophet in your own land, referencing the biblical quote. I think he was referring to certain members of my family who, no matter what I did or achieved, never seemed happy for me. Even when I had early writing successes, exciting and happy moments for me, they were not impressed and just wanted to focus the attention back on themselves instead of congratulating me. I think boiled down to its basic element my friend was saying familiarity breeds contempt. One of the people I would have most wanted to impress, an uncle, died too F-ing soon—before I had much visible success. So F him for dying before I could shove it in his face. At least I’m not bitter. Nope, I have many fond memories of this guy. 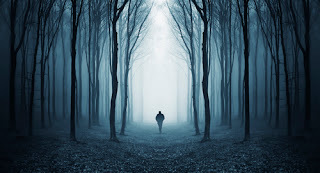 Outside of certain family members, that uncle and some others (long story), I think most people in my early life thought reasonably well of me and expected me to make something of myself more than becoming a serial killer, though of course I guess I serially kill people in my writing. But there’s less blood that way and you don’t have to spend all that money on Rubbermaid containers, bleach and the always-necessary duct tape. 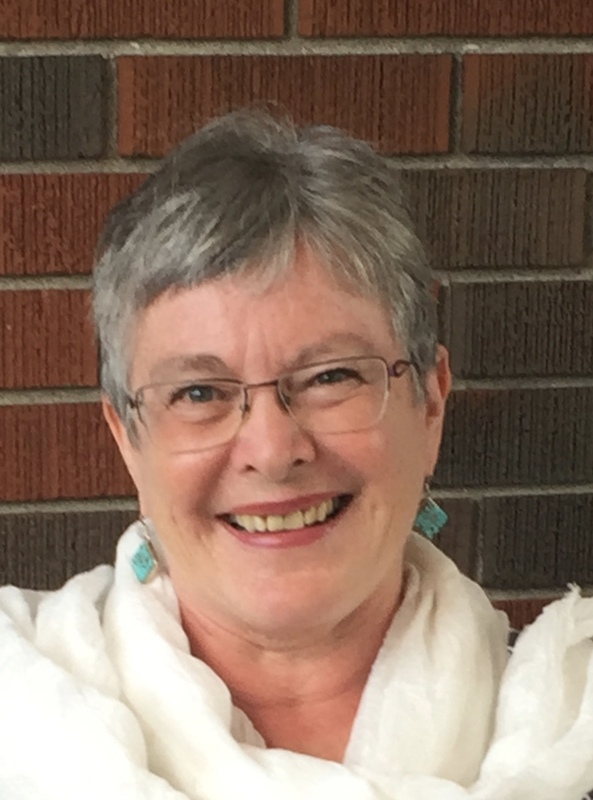 She stood, towering over me, the paragon of wisdom, imparter of knowledge, my kindergarten teacher, Mrs. Morrison (name changed to protect the sanctity of student-teacher confidentiality). She knew everything there was to know, especially how to finger-paint and build with blocks. And she knew where the milk and cookies were, where the sleepy-time mats were and when it was nap time. One of the things that happened in that early-on class is I met the guy—we’ll call him Buster—who many years later became my writing partner in Hollywood for a time. As my first teacher, Mrs. Morrison made a lasting impression. However, after accomplishing the consummate feat of graduating from kindergarten and moving upward (in grade) and outward (into the main building from the kindergarten corner), I didn't see her much anymore. Flash forward: I'm taking a novel writing class at UCLA Extension (many years ago at this point). One of the women in the class asks me if I'd like to join her writers' group. Sounds interesting, I say, and check it out a few nights later. There are several women “of a certain age” in the room and me. One of them stands out. She has a vaguely familiar look about her. When I'm introduced to her as Emily Morrison I'm astonished to find myself sitting across the room from my kindergarten teacher—Mrs. Morrison. I stare and stare at her throughout the group's session. What must she think of my staring? Do I have eyes for her? Am I some kind of swain waiting for the right moment to make my move? When it's over I go up to her and ask if she taught kindergarten at XYZ Elementary School, where all the teachers are strong, the principal’s good-looking, and all the children are above average. Natch! When she says "yes," I know I'd better watch my "Ps" and "Qs," literally. And I wait for milk and cookie time. She didn't remember me, but she did remember my writing partner, Buster, whose family lived across the street from the school. So, of course, she asked me a lot about him, as well as myself. And at the next class I brought my kindergarten class pic and showed her me—that sort of jogged her memory and she sort of remembered. And she did admit to me that she wondered why I had been staring at her that first session. She did think I was interested. It was pretty funny really. 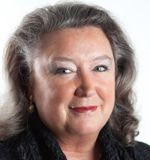 As I got to know her, I learned about all kinds of “backstage” machinations at the elementary school back in the day, things I never would have guessed and some of which are pretty sordid. 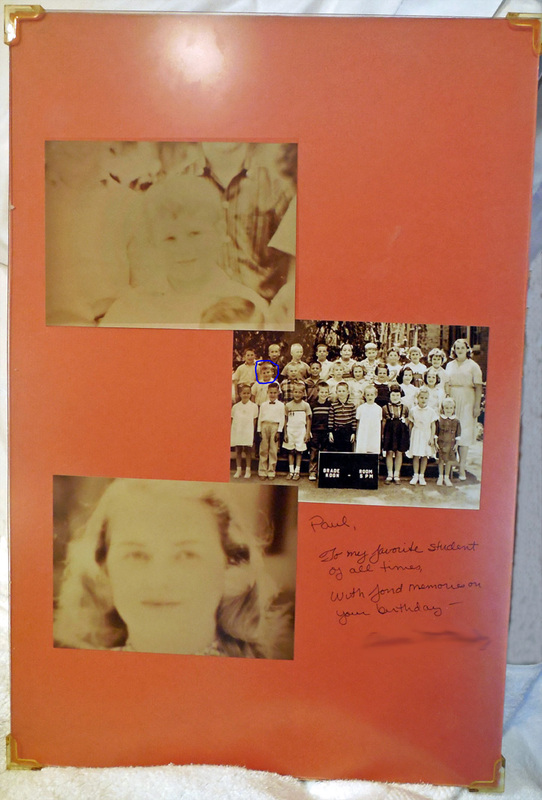 But the high point of my connecting again with Mrs. Morrison is when she made me a collage with photos of our kindergarten class and a note saying I was her favorite student of all time. So I guess I went from being unremembered to fave student ;-) . Now that’s somethin’! Here’s a pic of me from my kindergarten class picture. 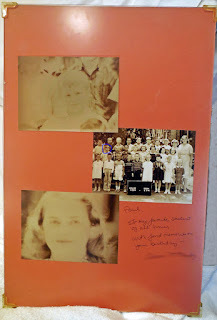 And also of Mrs. “Morrison.” I’m sorry about the quality. My external hard drive crashed and I can’t access most of my photos so I had to cop this from something else and, unfortunately, it’s the best I can do right now.